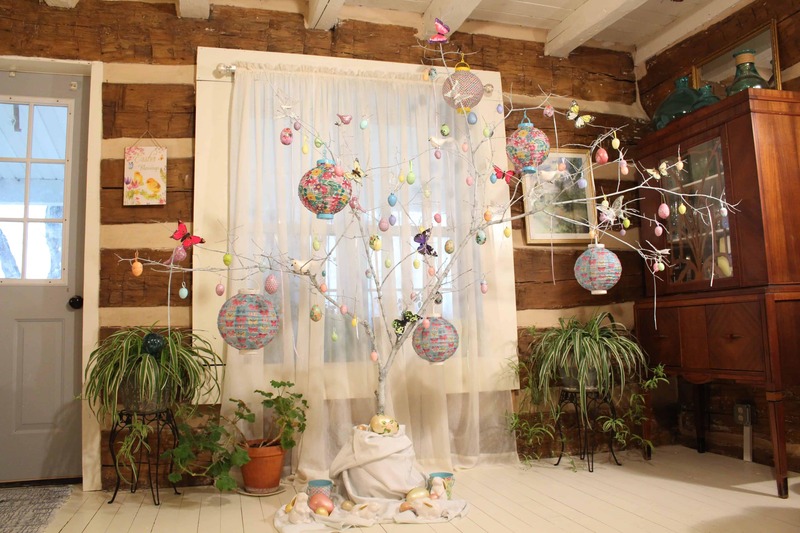 My boyfriend recently asked, “People do Easter trees, too?” As in, not just Christmas trees, but Easter trees as well?! Ha! Well, not necessarily, but they sure are pretty! And why not celebrate Jesus’ resurrection as much as we celebrate his birth?? I say Easter is just as much reason to celebrate and make your home gorgeous as Christmas! We have been inspired to try our own Easter tree from several different sources, but most of all Martha Stewart Living and Williams & Sonoma. These trees have enchanted us so many times, but we never took the time to make one ourselves…..until now! A Large branch with lots of smaller twiggy branches on it, and a long sturdy trunk. About three cans of white high gloss spray paint. Some newspaper or cardboard to paint on. A small bucket and a large block of floral foam. I also weighted the bottom of the bucket with some stones. We spray painted two coats on the branch and then sprinkled the glitter over the wet paint. After that we just let it dry for a few hours before placing it into the bucket in the living room. From there add your little Easter ornaments, and Voila! 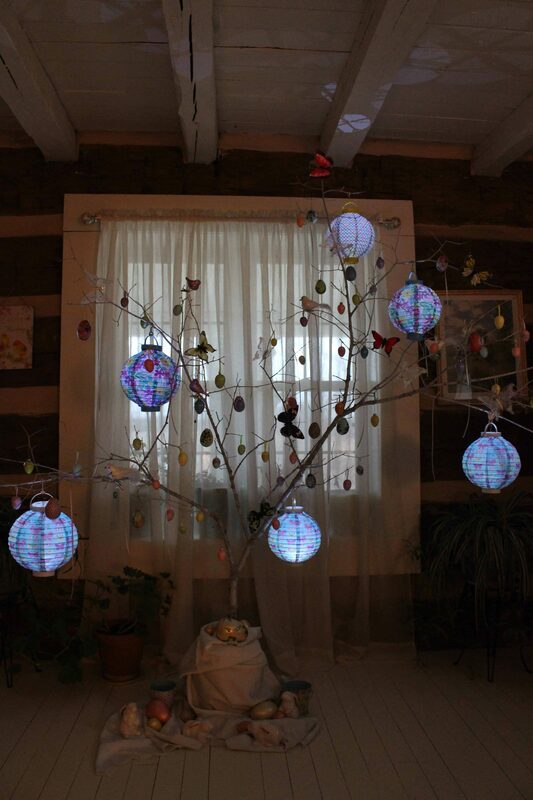 Your beautiful Easter tree is ready to display all of the beauty of spring and NEW life! Love this! This is something I never gave much thought about, but you’re right! Why not decorate and make the home just as beautiful In celebration that Christ is risen!! This has truly inspired me. Love you girls and your beautiful way of seeing things! Boyfriend is work in progress!